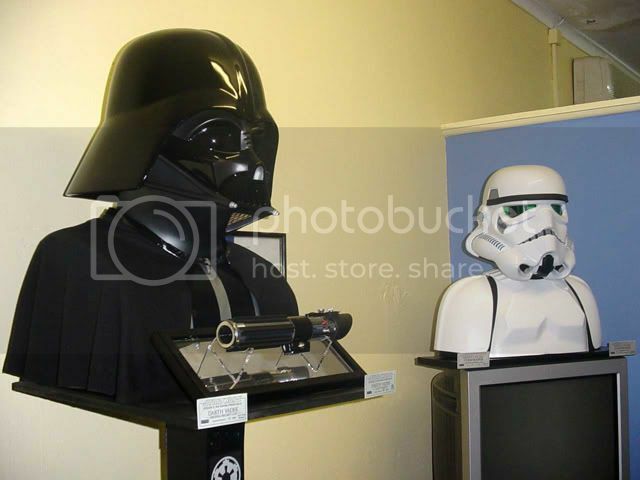 Star Wars bust/helmet store displays? Discussion in 'Sculpture and Makeup Effects' started by JSA, Apr 6, 2006. I'm currently looking for the Star Wars store display helmets/busts. were made, as I'm looking for all of them. Thank you to anybody with information on them. I think they were made for store displays for Altmanns helmets in Australia. There is also a Stormtrooper one I have seen. Actually if you go to www.starwarshelmets.com in the Altmanns section there are photographs of a Stormtrooper and Biker Scout display. Are the helmets separate from the displays then? come with the helmet as a set, that'd be fine as well. get something incomplete by not knowing any better. I'm not even sure if they are made by Altmanns or the shop that displayed them most likely is Altmanns though. The helmets came separate from the displays and there will be a lot less displays kicking about than helmets. 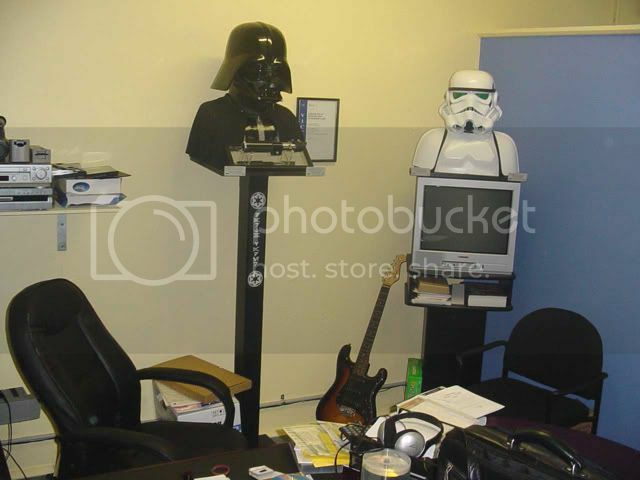 I have seen the Stormtrooper displays on sale on Ebay from Australian sellers two or three times before. I actually quite like the Biker scout display - the helmet itself was really nice. I saw a couple of Biker Scout ones on ebay, again from australia i think. I also think the chap was re-casting them. It's very good for display, easily pulled apart for transport and pretty solid.